If you would like to own this painting, just send your bid in an email to: farnsworthgallery@newmex.com, or call Thea at 505 982-4561. A quick study today for a composition I'm thinking of for this summer, based on some of the stock from the rodeos in Lake Havasu City and Wickenburg. He is one beautiful horse and very well cared for or is the horse a she? 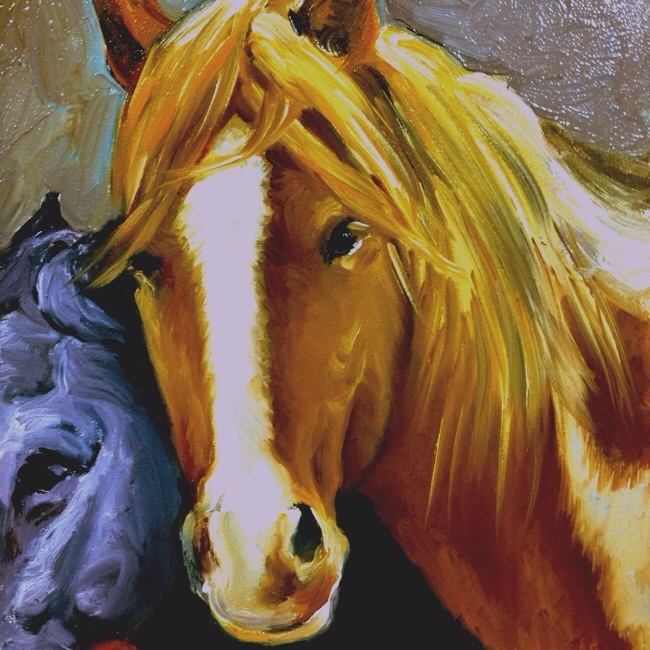 You really know how to paint and bring out the beautiful features of horses.